In understanding the “Dynamics of Evangelism” one must first know the original “Evangelist”, The Lord Jesus Christ, He went from city to city, country to country, preaching, presenting salvation and the Kingdom of God wherever He went; He taught the way and the reason; He went both to the masses and to the individuals. He spoke only of what He saw and heard from the Father, (John 5:16-23). 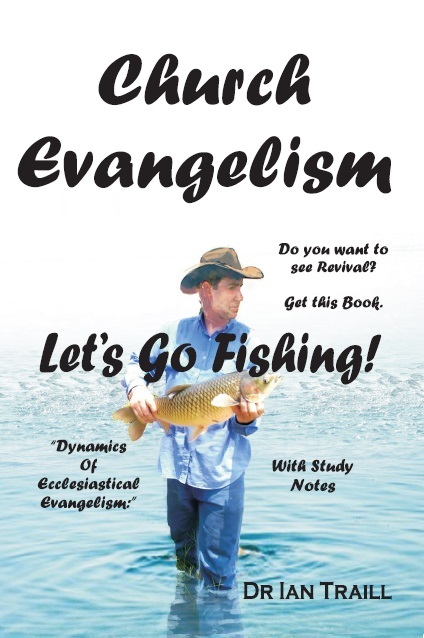 “…Jesus answered and said to them, “Most assuredly, I say to you, the Son can do nothing of Himself, but what He sees the Father do, for whatever He does, the Son does in a like manner.”…” This is the main thrust of “Let’s Go Fishing.” Pastor Traill emphasizes the need of the person desiring to evangelize, to be close to the Lord and Saviour and to know the Word of the Lord. Anyone desiring to be a servant of the Lord must be, as is recommended in this study guide, close to God the Father, the Saviour Jesus Christ, and motivated by the Holy Spirit. Pastor Traill is to be commended for this work he has carried out for the Kingdom of God, for allowing the Holy Spirit to inspire him.